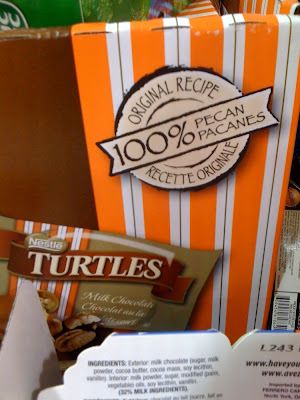 Have some Turtles Papyrus this holiday season | Papyrus Watch - Exposing the overuse of the Papyrus font. Found this one in the holiday candy mountain at the local SuperStore and emailed it in. Highly organic looking...misleading? Original recipe? Of course it is, why would you change it, they're delicious.